The following posts are of the recipients of the Victoria Cross for action in World War II. 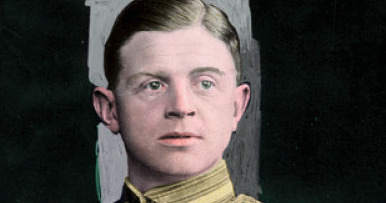 The Victoria Cross was awarded 182 times to 181 recipients. 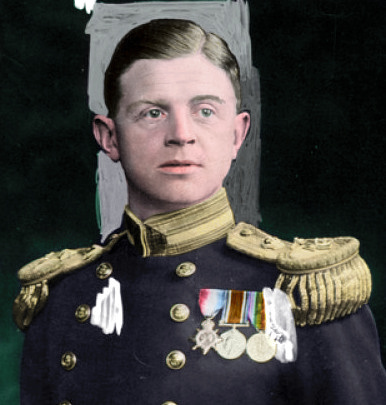 The first Victoria Cross of the war was awarded to Gerard Roope for action whilst in command of HMS Glowworm. Of the 181 recipients, 85 were awarded posthumously. 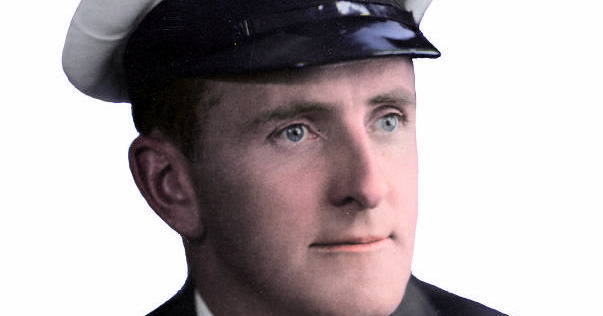 The late Lieutenant-Commander Gerard Broadmead ROOPE, Royal Navy. On the 8th April, 1940, H.M.S. Glowworm was proceeding alone in heavy weather towards a rendezvous in West Fjord, when she met and engaged two enemy destroyers, scoring at least one hit on them. The enemy broke off the action and headed North, to lead the Glowworm on to his supporting forces. The Commanding Officer, whilst correctly appreciating the intentions of the enemy, at once gave chase. The German heavy cruiser, Admiral Hipper, was sighted closing the Glowworm at high speed and an enemy report was sent which was received by H.M.S. Renown. Because of the heavy sea, the Glowworm could not shadow the enemy and the Commanding Officer therefore decided to attack with torpedoes and then to close in order to inflict as much damage as possible. Five torpedoes were fired and later the remaining five, but without success. The Glowworm was badly hit; one gun was out of action and her speed was much reduced, but with the other three guns still firing she closed and rammed the Admiral Hipper. As the Glowworm drew away, she opened fire again and scored one hit at a range of 400 yards. The Glowworm, badly stove in forward and riddled with enemy fire, heeled over to starboard, and the Commanding Officer gave the order to abandon her. Shortly afterwards she capsized and sank. The Admiral Hipper hove to for at least an hour picking up survivors but the loss of life was heavy, only 31 out of the Glowworm’s complement of 149 being saved. For gallantry, enterprise and daring in command of the force engaged in the First Battle of Narvik, on 10th April, 1940. On being ordered to carry out an attack on Narvik, Captain Warburton-Lee learned that the enemy was holding the place in much greater force than had been thought. He signalled to the Admiralty that six German destroyers and one submarine were there, that the channel might be mined, and that he intended to attack at dawn. The Admiralty replied that he alone could judge whether to attack, and that whatever decision he made would have full support. 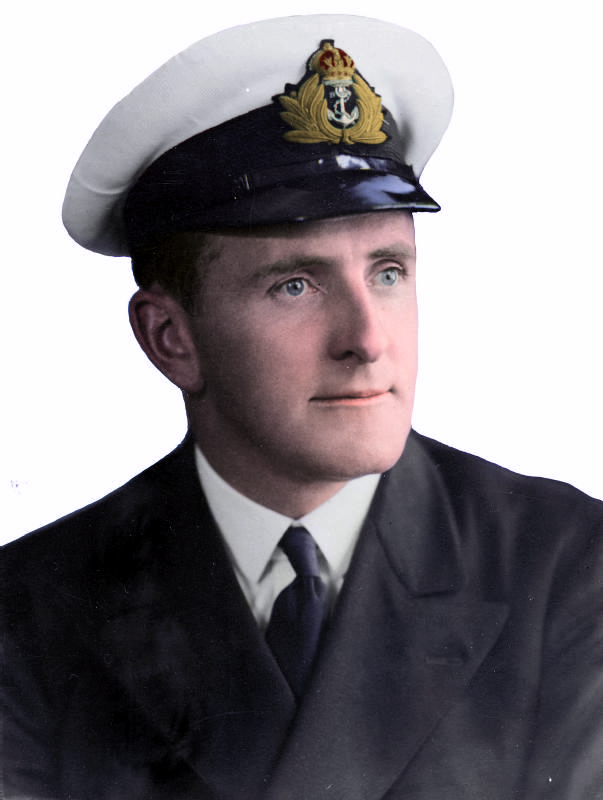 Captain Warburton led his flotilla of five destroyers up the fjord in heavy snow-storms, arriving off Narvik just after daybreak. He took the enemy completely by surprise and made three successful attacks on warships and merchantmen in the harbour. As the flotilla withdrew, five enemy destroyers of superior gunpower were encountered and engaged. The captain was mortally wounded by a shell which hit the bridge of H.M.S. Hardy. His last signal was “Continue to engage the enemy”.